Garden - a place where you can enjoylush greenery for breakfast and birdsong in the morning, and spend your time usefully, immersed in the fresh colors of nature. If we consider a garden with more prosaic point of view, the creation of an accurate plot is impossible without elimination of crop residues. Spring pruning of fruit trees, cutting old strawberries and raspberries, sea weeds after weeding beds - all this develops into heaps in order to burn the completion of the season. 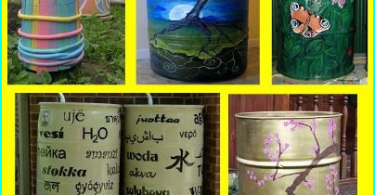 Economical owners who know how to use this waste for use, create the areas compost heaps, which are 3-4 season from all this good material is converted into an excellent organic fertilizer. Deciding to create a garden shredder with your hands, you can get an excellent material in the form of wood chips or flour, which is convenient for accelerated compost fermentation. Homemade garden shredder will notonly to make practical use of the waste, but to facilitate the guidance of beauty in the area. With this shredder can crush any plant remains into small chips. Shredder works on the principle grinder ina branch in the 1.5-7 cm, falling into a hopper and moving to the grinding system, easily ground into small chips. Bunker is a structure that does not allow to enter details of clothes and arms to the rotating blades. The system consists of crushing and milling multiple blades. 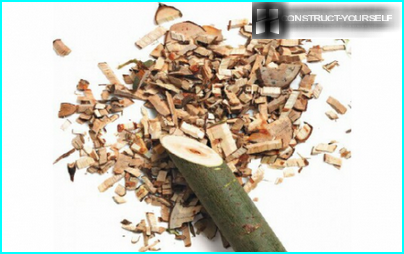 The thickness of the shaft depends on the destination device, so to grind thin branches set 3cm 8cm shaft. Performance technique depends on the engine power. 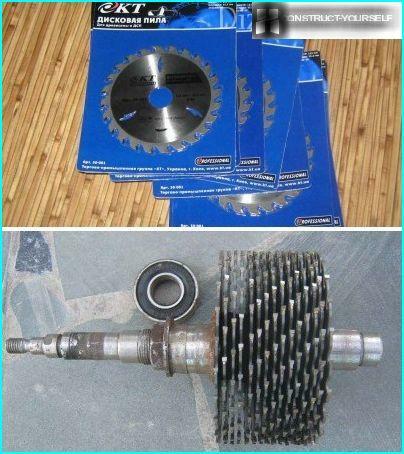 Since the chopper motor power which is in the range up to 2.6 kW, is able to mill threads d = 5 cm. Homemade garden waste shredder littleIt differs from industrial analogues of these devices. 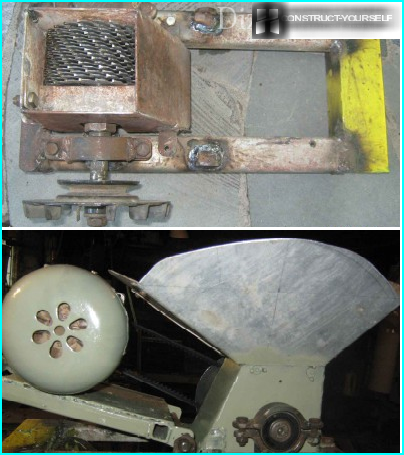 Stationary chopper can be made on the basis of circulating saw. To do this, the unit is sufficient to replace wheels on the cutter shaft or cutter, and attach the receiving box-hopper. 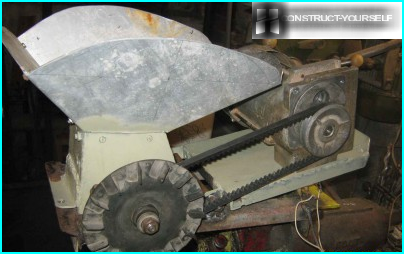 Either use the saw as a grinding device, placed on the shaft at the same time, several pieces. 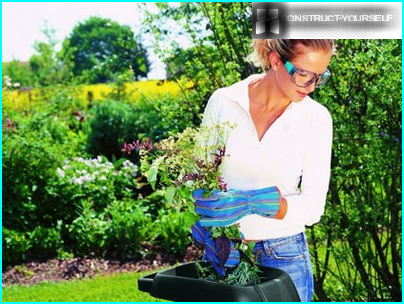 Creating a garden shredder with their hands "withzero "must first purchase a motor. The electric motor is the best option for fast grinding feed relatively small volumes. The electric motor is silent in operation and thus does not emit exhaust gases. These characteristics allow the electric motor to use it not only in the local area, but also indoors. The only drawback of the device - the need to connect to the power supply system. Council. The use of circular saws with carbide nozzles will create a reliable and durable knife that does not require periodic undermining procedure. For qualitative knife assembly requires an average of 10 to 20 drunk 6-10 cm thick. Cutting saws are recruited on the pin - the axis diameternumber of which is equal to the diameter disks. 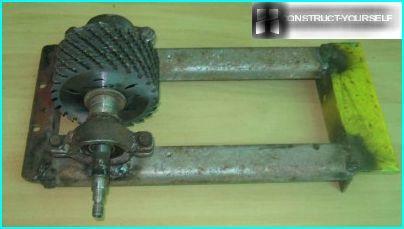 To assemble the cutting device will also be required nuts and washers of the same size. In advance it is necessary to prepare the thin washers that can be cut out of plastic. These goals require dilution disks on equidistant distance from each other so that when rotating them slightly protruding teeth do not catch on one another. The number of goals to be 1 element is less than the number of disks. The frame for fixing rods can be welded motoblockfrom profiled metal pipes. For welded construction mounted drive in such a way that he was free to move relative to circular saws. This arrangement will allow, if necessary, adjust the tension of the drive belt. It covers the design can be cut fromgalvanized steel, but more preferably produce it from sheet metal. The material of manufacture of the hopper can be a conventional galvanized steel. Garden chopper with his own hands, unlikefactory performance models more versatile. It can be used not only for the processing of branches and grass, but also for crushing fruits and different variations of your household waste. The horizontal location of the engine on onelevel relative to the blades can prevent it from getting wet breakage of stems. The work of the unit is simplified by the fact that there is no need to monitor the moisture content of the raw material and sort branches in size. 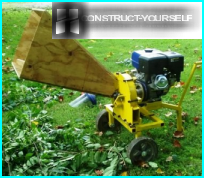 Homemade garden waste shredderhigh performance: circular saws with high speed able to process even fairly thick branches. Cost of the chopper will be released in two times cheaper, and the power - at times more. Created in this way the unit will be no worse than the expensive plant garden tools. 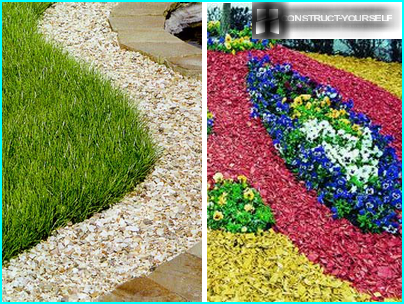 Variants of design you can think of the sea, it all depends on the imagination, ingenuity and willingness craftsman.